Test-driven development is red, green, REFACTOR. Not only do you need to clean up your code as you go, it’s also important to take a step back and do a larger clean-up pass when you’ve finished a chunk of work. 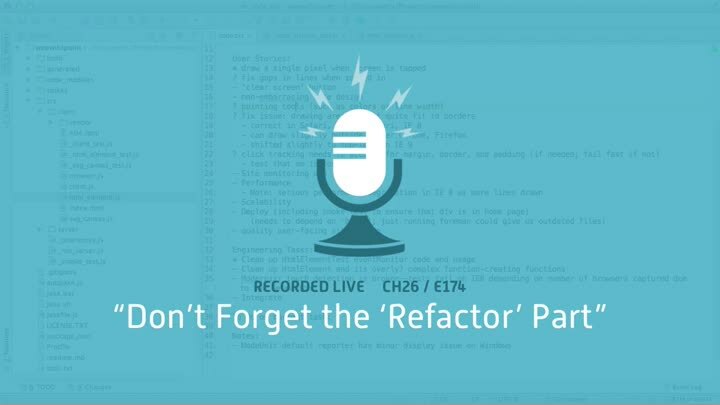 In this episode, we take that step back for the client code and event handling tests we just finished.